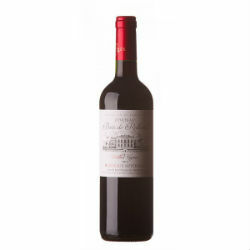 Medium to full bodied with round tannins with a plush texture, ending with a layered finish. 8 months in oak add a touch of vanillan tannins that dont overpower the fresh fruit. Recently won 3 Gold Medals from Concours Général Agricole Paris CGA, Concours Bordeaux CVBA and Citadelles du vin Bordeaux.